$445. 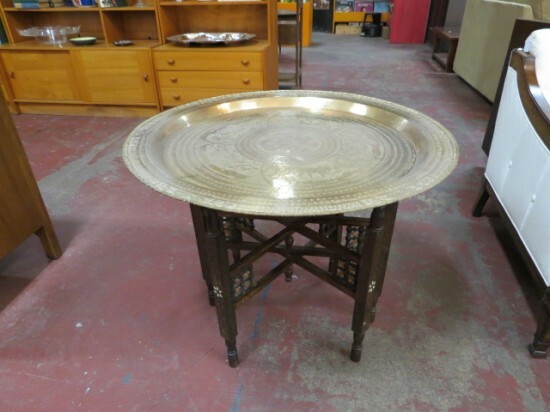 Vintage antique Moroccan brass tray coffee table/side table. Round etched brass tray top. 6 carved legs with bone inlay. Legs fold flat for storage. Perfect for your living room. Very good condition. 30in wide, 23in tall.